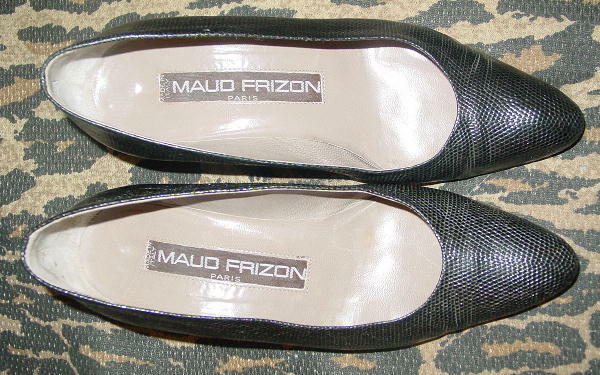 These vintage black reptile pumps are by Maud Frizon Paris. 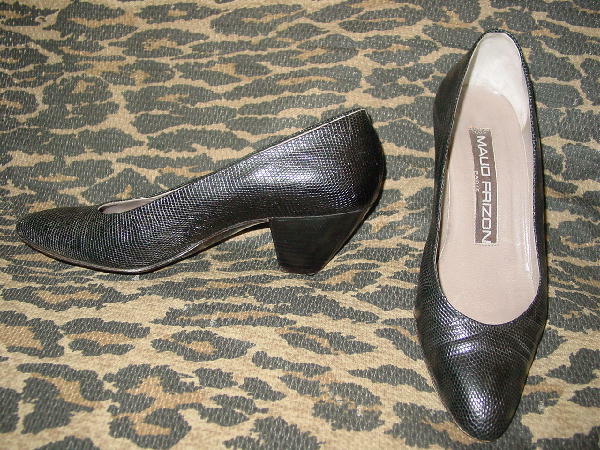 They have black stacked heels and gray leather linings and insoles. The heel bottoms have heel guards. The inner side on the left shoe has 1 scale missing. 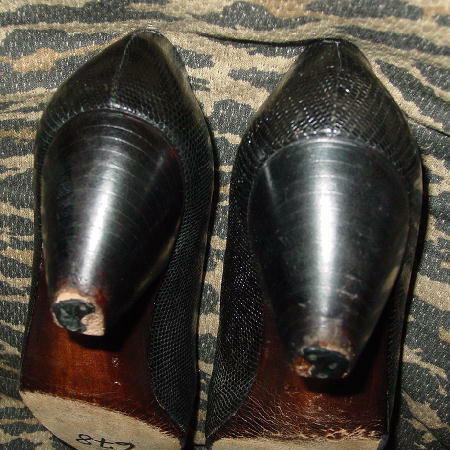 The stacked heels have scuff marks. You may want to get them resoled and heeled. They're from a former Los Angeles actress. She wore them a lot over the years. As she gained some weight, her feet grew bigger. The shoes are now too small for her.